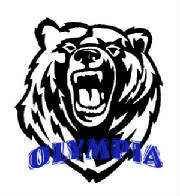 09-22-2007, the minor White Bears squared off against the Yelm Tornados. Our boys were fired up from the first snap. Some of the best team work this year, everyone doing their part to help the team be successful. The lineman were AWESOME! Willem Senna, Aaron Raymond, Zaiden Hernandez, Cameron Means, Xavier Horgdal and Diego Jaramillo GREAT EFFORT!! Our offensive wide receivers, Noah Benincasa, Nicholas Jansen, Kardel Arnold, Adam Fornara and Jase Payment, without their down field blocking our running-backs would not have been able to score. Your hard work at practice really paid off, OUTSTANDING JOB!! Offensive back-field, the general, quarterback Luke Kiley directed the offense with great skill and confidence. Our backs hit the holes, threw great lead blocks and continued to rack up big rushing yards and Touch Downs! Nice job Cody Barnett, Jake Mercer, Hunter Sipe and Ketner Young, TREMENDOUS POWER! GREAT PLAYS: Hunter Sipe 35 yard run for a Touch Down. Cody Barnett 42 yard run for a Touch Down. Jake Mercer 11 yard run for a Touch Down. Xavier Horgdal and Zaiden Hernandez QB sacks!! Ketner Young layed out and knocked down a sure TD pass. Luke Kiley and Jake Mercer each intercepted a pass. The White Minors Bears came out ready to play. The pace of the game was quick, the players really performed well as a team. The linemen took control of the line of scrimmage, the running backs were finding the holes and our outside receivers did a great job at keeping the defensive corners out of the play. Defensively we looked sharp, the defensive line interrupted the offense and caused several problems for the Wolves. Our linebackers made some great stops. Our outside guys and corners kept everything inside. What a JOB!! Jase Payment defensive corner HARDEST HIT! Zaiden Hernandez defensive linemen GREAT SACK! Luke Kiley quarterback Great PASS! Ketner Young running back and receiver GREAT CATCH! Cody Barnett running back GREAT TOUCHDOWN RUN! * check official TCYFL Website for changes.